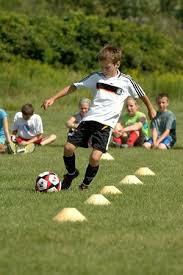 To teach players proper soccer technique, to stress the importance of developing ball skills and to encourage them to work on their technique at home. To teach coaches what proper technique looks like, to stress player performance over outcomes of games and to provide coaches with resources and tools that will help develop our youngest players. To convey to parents that their kids play to have fun. Parents must learn the importance of rewarding a child for their performance rather than measuring success by wins and losses. Each of these Technical Department Programs can be tailored to a Clubs needs and logistics. Fees will be adjusted accordingly and are designed to simply cover costs. LSA’s compensation in presenting these programs is the development of your players and the growth of the game in Louisiana.